Fall is knocking on our door and school has already started so we have prepared an adorable Fall Pattern Recognition for your young ones to start the season earlier. 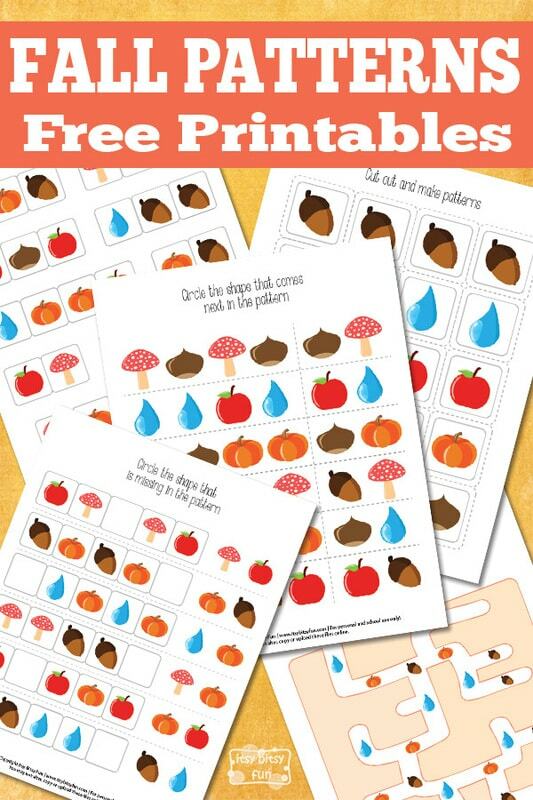 These simple printables are perfect for kids in preschool and kindergarten. Check out and print this cool pattern recognition pack and practice the patterns. This printable pack has 5 pages. On the first page of this printable, there are different patterns in each row. Kids have to circle the right object that follows each pattern. On the next page there are missing objects in each pattern. Find out which object is missing and circle the right one at the end of each row. On the third page, there is a nice maze to be solved. Follow the order of a pattern above to solve it. On the last two pages, there is a pattern game. The fourth page has nine different patterns. Cut them out and laminate each pattern then print out the last page and cut out each object. It would be great if you could laminate these also. Enjoy with your kids and have some fun time during the fall. 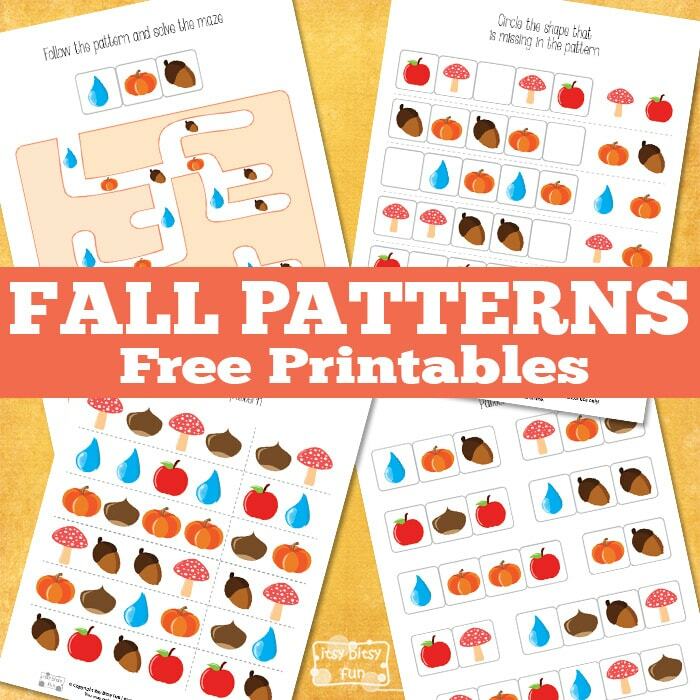 Get your free printable Fall Pattern Recognition here.